List of Hindrance to Divine Healing – Why Does God Sometimes Not Heal! Why hindrance to divine healing and no Jesus healing power. Have you been to healing lines and have not received divine healing through Jesus? 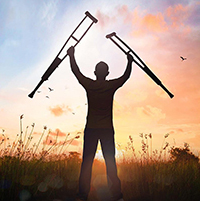 Did you know there are spiritual roots to disease and reasons for hindrance to divine healing? How about spiritual blocks to your healing? Did you know many times we need to repent of sin and that allows God through Jesus to bring spiritual healing to our bodies? Repentance cleanses us of our sins and removes the blocks to healing. Not only that repentance even changes our DNA code. Take the time to go through the list and repent of your sins you can relate and remove the hindrances to divine healing in your life. If you do your part Jesus will do his part. There are conditions to the Lord’s healing. At least 80% of diseases have a spiritual root cause blocking divine healing. You will see 46 blocks to divine healing. Jesus is the divine healer. 1. Unforgiveness (bitterness, resentment, retaliation….). This I believe is the #1 reason for so many people do not get healed. Read this scripture and you will get an understanding. Matthew 6:15 “But if ye forgive not men their trespasses, neither will your Father forgive your trespasses.” There is a separation when you refuse to forgive your enemies. Luke 6:27-29 “27” But I say to you who hear, love your enemies, do good to those who hate you, 28 bless those who curse you, pray for those who mistreat you. 29“Whoever hits you on the cheek, offer him the other also; and whoever takes away your coat, do not withhold your shirt from him either.…” When we forgive Jesus heals and only Divine Healing is through Jesus Christ. 2. – Not Discerning the Lord’s Body – (#1 bitterness toward a brother – not forgiving, judgment of others – a form of bitterness). 1 Corinthians 11:27-32 says” Wherefore whosoever shall eat this bread, and drink this cup of the Lord, unworthily, shall be guilty of the body and blood of the Lord.” For this cause many are weak and sickly among you, and many sleep. For if we would judge ourselves, so that the Lord not judge. But when we are judged, Lord chastens us, not to condemned with the world.” We are to check ourselves to see if we have any unforgiveness towards any brother. Make peace first before taking communion. Otherwise, Satan has a right to put a disease on your body. 4 – Doubt & Unbelief. Hebrews 11:6 “But without faith it is impossible to please him: for he that .cometh to God must believe that he is, and that he is a rewarder of them that diligently seek him.” How can we stand in healing prayers if we have doubt and unbelief. Doubt and unbelief is a spirit, Antichrist spirit not from God. No Expectation in Healing (does not believe). Flagrant Sin (Habitual Sin) Galatians 5:19-21 – will not enter the Kingdom of God. not repenting from sin or habitual sin. What is flagrant sin is habitual sin. Accordingly, it is those who know the truth and choose not to repent and stay in sin for their benefit. 7. No Intimacy or no relationship with the Father. 8. Sin you committed or family sins – generational sins and curses coming forward when you open the door when there is a bent in your life. 11 & #12 – Fear and Unscripture Doctrine – also doubt and unbelief. A spirit of fear, worry, anxiety and stress. Not trusting God and casting your cares to the Lord. 13. Complaining, Murmuring & Grumbling (Israel not allowed into promise land because of murmuring and complaining). You want to lose blessings, start murmuring and complaining. 14. Disobedience and not obeying instructions from authority figures – a spirit of rebellion. 15. – Ungodly Attitude Toward Leaders and Anointed Leaders (talks about leaders) – It is talking and gossiping about spiritual leaders. 16 – Improper care of the body (drivenness, does not rest when tired, self-hatred). 17. Broken Heart – being hurt by others, betrayal by others and having emotional pain. 19. Negative Influences from others. As they say, you become who you hang around with. 20. Greed – it is you trying to get rich on other people’s money. It is all about you. 21 Not Being Honest or Transparent with self or others. Trying to be someone you are not and making people believe you are someone else when you are not. 28. Looking to Man Rather Than God. Fear of man. Saul had this problem. 30 -31 – Our Allotted Time Fulfilled and Looking to Symptoms and Not the Healer. You are not looking to God for healing but stuck looking at your pain and situation. 33. Not Keeping Your Life Filled with the Spirit and Word of God. Not Resisting Temptation and falling into sin. If we resist he will flee. Giving Up – you get worn out and give up instead of keeping your trust in God. Envy and Jealousy towards others and discontented, competitive, division, gossip, wanting what others have. 43. Sloppy grace and believes once saved always saved and no need for repentance again. We can see from the list above reasons why does god not always heal. I believe the biggest reason is bitterness either towards another, self or God. Second biggest reason is lack of faith or trust in God. Then the third is not having a relationship with the Lord Jesus Christ our Lord. The Lord promised in Ps. 103:2-3 he came to heal ALL diseases. The problem is we are not obedient to the Word of God. more detail to this list coming soon with more detail on all these Blocks to Healing.